In the ever-evolving Representation Matters era, it&apos;s deeply important that Black culture is reflected in a positive and uplifting light. Such is a mentality that French entrepreneur and digital artist, Aurélia Durand, strives to portray in each and every one of her artwork. 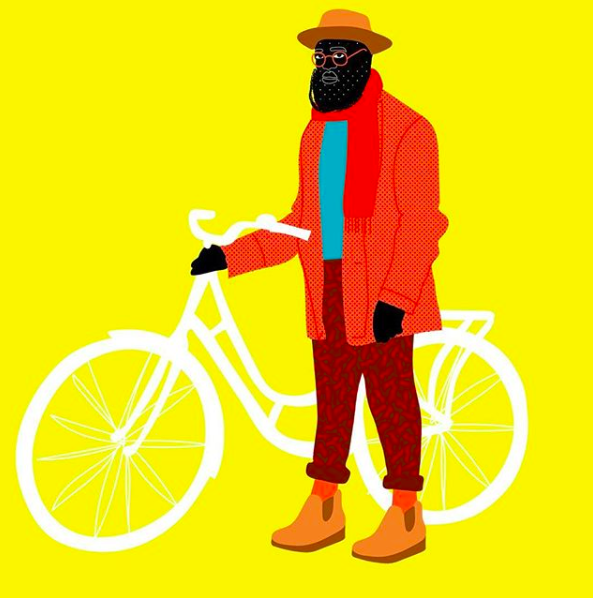 Since leaving her native Paris and settling in Copenhagen, Durand has tapped into her innate creative ability to portray the richness and beauty that surrounds Black people worldwide. Throughout this month of January, we partnered with Durand to produce exclusive digital wallpaper for our email subscribers to download straight to their digital devices. I had the pleasure to speak with Durand on what it means to represent Black culture, her first solo exhibition and where she gains her inspiration from. Check out our exclusive interview with Aurélia Durand below. 21Ninety: What is your earliest memory of knowing you were meant to be an artist? Aurélia Durand: When I was 19, I started my first year of art and design class in Paris. It was at that moment when I knew I would be an artist. I like to work on creative projects and I like to use my imagination to create innovative visuals. It gives me a reason to live for. I can’t spend a day without thinking about new creative ideas. 21N: In much of your artwork, you depict Black skin with a richness of deep and dark undertones. Can you describe your reasoning behind that? AD: Black is a color that contrasts well with colors. 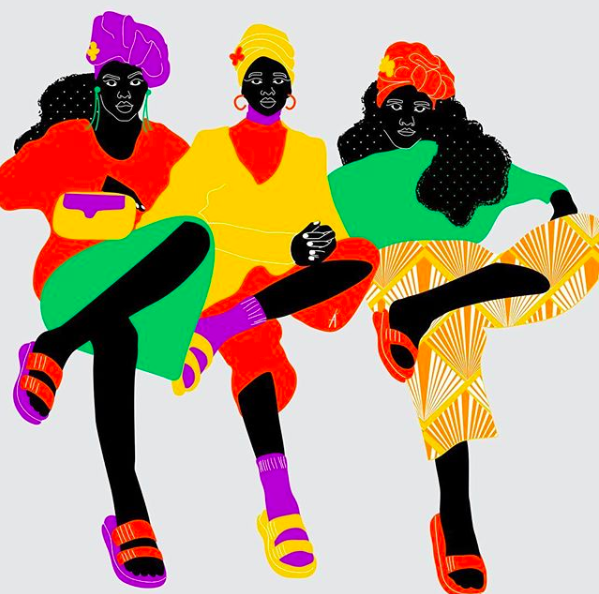 My goal is to create vibrant and joyful illustrations and show the modern afro-descendants as confident and proud. 21N: This past December, you lead a solo exhibition — Haut en Couleurs — in Paris. How did that go? What was the experience like? AD: It was my first solo exhibition in Paris — many people came and interacted with me. People came because they follow my work online, and so I got the chance to meet with them. After the event, I truly saw that what I do has meaning for others. 21N: You offer a set of skillshare classes to those interested in learning the principles of creating art — what can a student who enrolls expect to gain from your classes? Do they need to have any prior artistic training? AD: I have three classes at the moment: people can learn the principles of animating a character and create a cohesive series of illustrations. These classes are for intermediate creatives, it’s better if people know about the software and have some experience with drawing. 21N: Where do you gain your inspiration from? AD: My inspiration comes from movies, music videos, music, illustrations, architecture, product design and more. My experiences in life are also my inspiration, and my relationships with others are what I am the most inspired by. When I travel I get lots of ideas and it gives me a new perspective on life. I have been traveling a lot in the north of Europe, so much of my colors and my motifs are inspired by the Nordic countries. 21N: Who are some painters that move you artistically? AD: I don’t have a preference, it depends on my mood. The last exhibition I have seen was in Paris in Palais de Tokyo: Tomás Saraceno. He is Argentinian contemporary artist. He is best known for his large-scale, interactive installations and floating sculptures, and for his interdisciplinary approach to art. I enjoyed the exhibition a lot — I traveled to a new galaxy, and was amazed by the visuals which were very graphic and the creativity he developed around science. 21N: How do you define female empowerment? AD: Female empowerment is about taking a chance to make things, even if it’s difficult. 21N: Throughout the course of history, art has been known as a tangible medium — one that can be seen and felt while you stand in its presence. Your art has been displayed on T-shirts and on canvases, what inspired you to make the leap to digital artwork and animation? AD: I am a digital artist and an illustrator, I don&apos;t consider myself a painter. I work mostly on my computer. I do paint to get my work out of the world on a paper. I want to develop my animation style further, but it takes time and a much longer process. 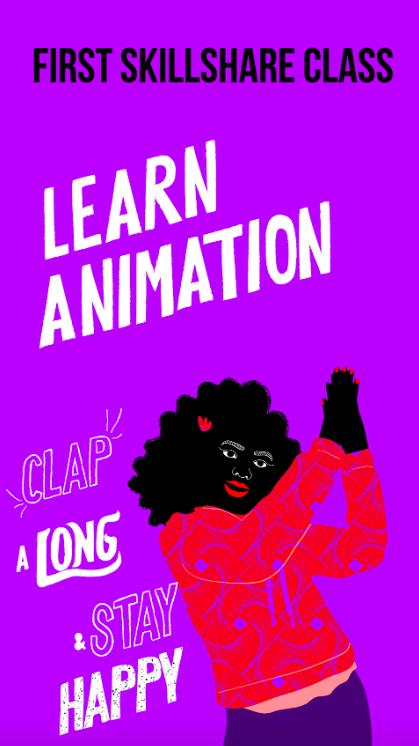 Animation courtesy of Aurélia Durand. 21N: What projects can we expect to see from you in the near future? AD: I will be working on my illustrations book very soon and short animation movie. 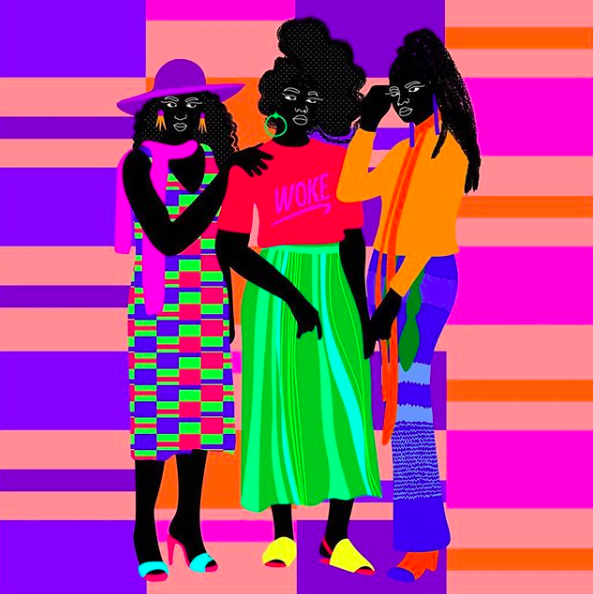 21N: Do you have any words of advice or encouragement for Black women striving to break into the art world? AD: I have to be honest, it is very hard to be a visual artist — I struggle every day. Instagram shows only the beautiful side of being an artist, and I myself do it because I know people are not interested to read my pain every day — they want to be entertained. But behind the scene, it’s a lot of sweats and tears. It appears as a beautiful and funny job but it’s not a hobby. Since I started, I isolated myself from the world because it took energy to draw constantly and it’ is a lonely professional activity. But every entrepreneur can say, it does hurt to create and be self-employed. But it also pays off slowly, that is why I still continue.